The Sabarimala Ayyappa Temple in Kerala is open for darshan only during certain specific periods in a year. Below are the dates on which the Sabarimala Ayyappa Temple will remain open during 2019 – 2020. The temple is open for monthly pujas for five days from the first of Malayalam month on all months in year. Other days when the temple is open are for Sabarimala Shrine festival, Vishu, Ayyappa Idol installation anniversary puja, Onam puja, Sri Chithira Attam Thirunal, two months during the Mandalam Puja season (November – December) and finally during the Makaravilakku Puja (January) season. 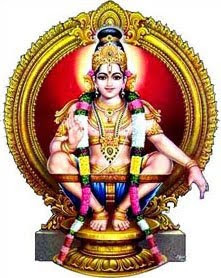 May 14, 2019 to May 19, 2019 – Edava Masam Pooja - Monthly Puja – The temple remains open for five days during the period. June 15, 2019 to June 19, 2019 – Mithuna Masam Pooja – Monthly Puja – The temple remains open for five days during the period. July 16, 2019 to July 21, 2019 – Karkidaka Masam Pooja – Monthly Puja – The temple remains open for five days during the period. There is also a Niraputhari in this month and the date is decided by the Travancore Royal Family. August 16, 2019 to August 21, 2019– Chinga Masam Pooja – Monthly Puja – The temple remains open for five days during the period. September 9, 2019 to September 13, 2019 - Onam Puja. September 16, 2019 to September 21, 2019 – Kanni Masam Pooja – Monthly Puja – The temple remains open for five days during the period. October 16, 2019 to October 21, 2019 – Thulam Masam Pooja – Monthly Puja – The temple remains open for five days during the period. Temple open on all days from November 16 evening..
Temple open on all days till the night of December 27, 2019 on all days. December 30, 2019 – Temple opens for Makaravilakku. Temple closes at night on January 20, 2020. February 12, 2020 to February 17, 2020 – Kumbha Masam Pooja – Monthly Puja – The temple remains open for five days during the period. - Sabarimala Annual Temple Festival. On the above days the temple usually opens at 0400hrs and closes at 1300 hrs and then opens again at 1600 hrs and closes at 2300 hrs. Neyyabhishekam takes place from 0430 hrs to 1130 hrs. During the peak seasons the timings might altered to accommodate the large number of devotees. How to do the Irumudi Kettu to Sabarimala? How to avoid health problems during Sabarimala climbing? How to observe Sabarimala Mandala Vratham?